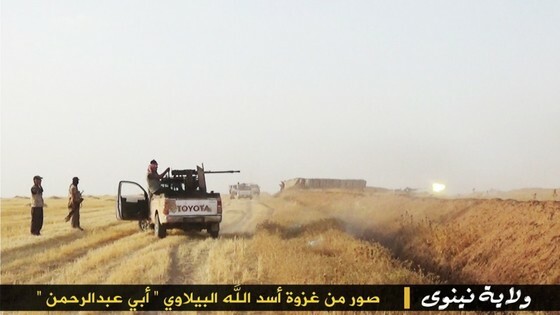 The Islamic State of Iraq and the Sham’s Ninewa Division released a set of photographs that details the attack on and capture of an Iraqi military command center, captured military hardware, and the execution of Iraqi prisoners. The Ninewa Division, one of 16 wilayats or administrative units in the ISIS’ Islamic state that spans Syria and Iraq, released the 39 photographs on its Twitter account. 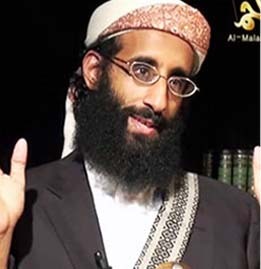 The photographs are captioned “Pictures from the Invasion of Asadullah [Lion of Allah] al-Bilawi Abu Abdul Rahman.” As The Long War Journal previously reported, ISIS has named the current offensive after a now deceased ISIS commander, ‘Adnan Ismail Najm, also known as Abu Abdul Rahman al Bilawi. 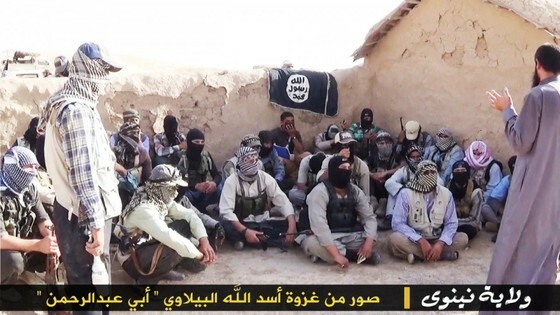 The stream of photographs begins by showing a group of ISIS fighters meeting at a compound, presumably for their pre-mission briefing. 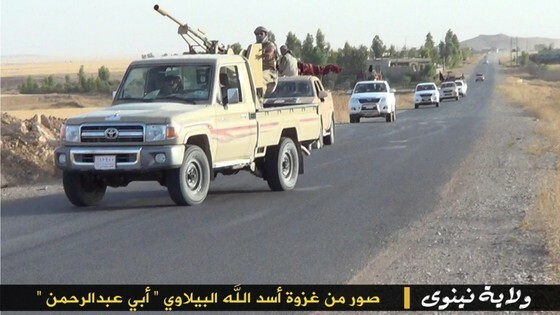 Next, a series of photographs shows an ISIS convoy of technicals, or pickup trucks mounted with machine guns, moving down a road and then engaging with what appears to be a small military outpost. 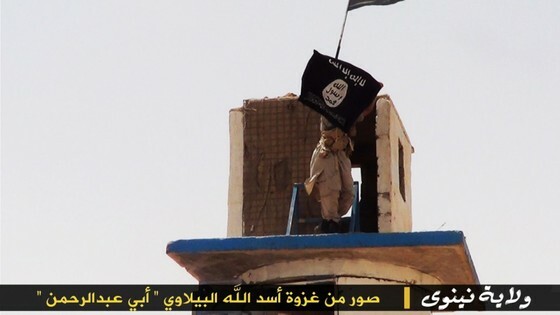 ISIS forces defeat the Iraqi troops and raise their black banner of jihad over the base. 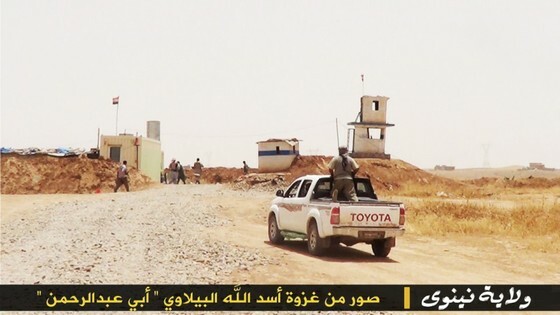 The ISIS fighters then appear to move to another Iraqi military base and take it over. 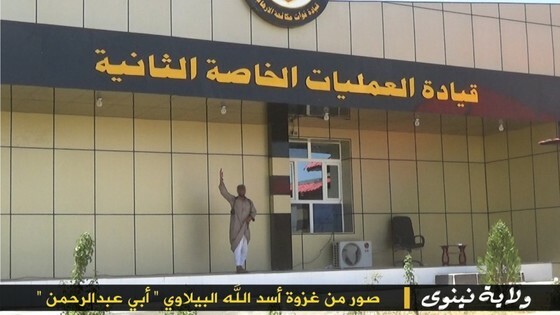 In one photograph, an ISIS fighter poses in front of a sign that says “The Second Operations Command Center.” This may refer to the headquarters of the 2nd Iraqi Army Division, which reported to the Ninewa Operational Command. Some of the photographs show captured Iraqi military hardware, including an armored US-made Humvee and Soviet-era armored fighting vehicles. 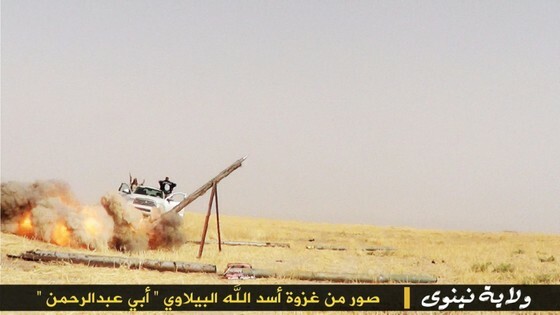 ISIS fighters are also depicted launching rockets. The photoset concludes by showing the brutal execution of what appears to be three Iraqi security personnel who were captured in the assault. The military identification cards of two of the men who were executed are displayed. The three Iraqi troops are kneeling on the ground as three ISIS fighters shoot them in the back of the head with pistols. 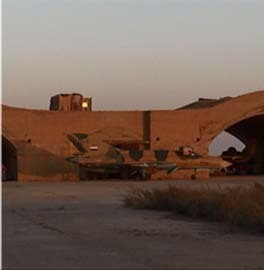 The Ninewa Division’s most recent photographs are consistent with others produced by that group and by the neighboring Salahaddin Division. 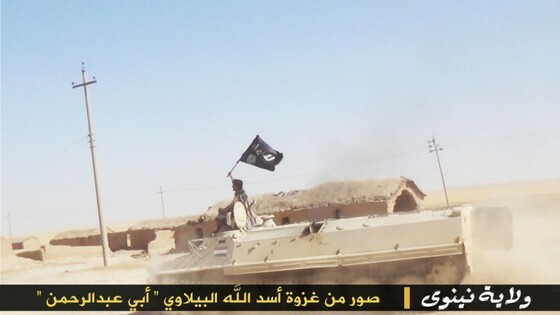 A series of pictures released on June 15 by the Salahaddin Division showed the group’s spoils of war after capturing a prison in Tikrit, as well as the execution of scores of captured Iraqi soldiers. 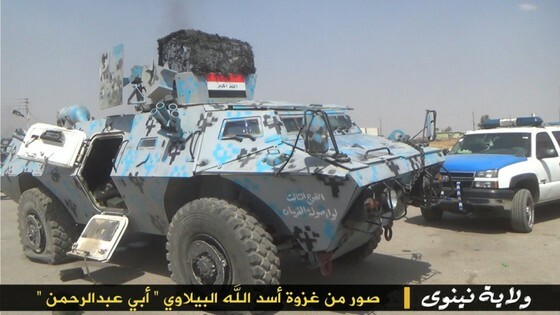 Another photoset released on June 19 by the Ninewa Division showed an overrun military base, captured military hardware, and local support for the group in the province. 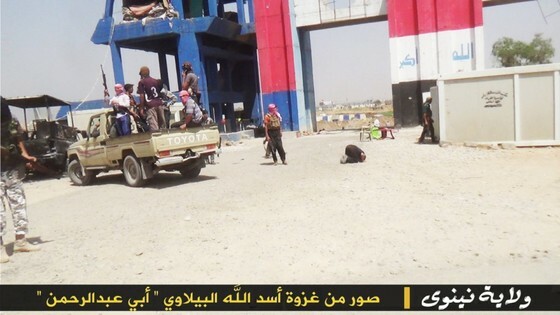 WARNING: One of the images below is graphic and shows the execution of Iraqi soldiers. 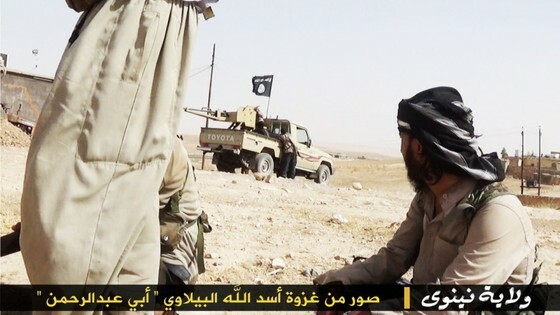 The intent in publishing these photographs is to document the war crimes committed by the ISIS. 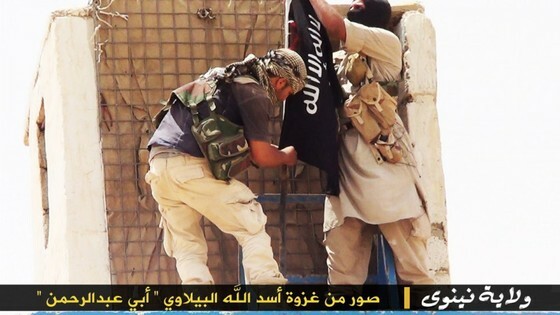 The images are a selection of 39 published by the ISIS’ Ninewa Division. You can view the all of the photographs here. Absurdly easy targets, may God, Allah and the American Military have mercy on Mr. Obama for not terminating all this equipment and associated people. There’s no one out there but bad guys- forget friendly fire accidents- no friends driving any military equipment or pick-ups with 50’s. I will never understand why these executions are filmed or photographed and then published. What is the point of it? This doesn’t cause fear nor respect, but results in public anger and condemnation. 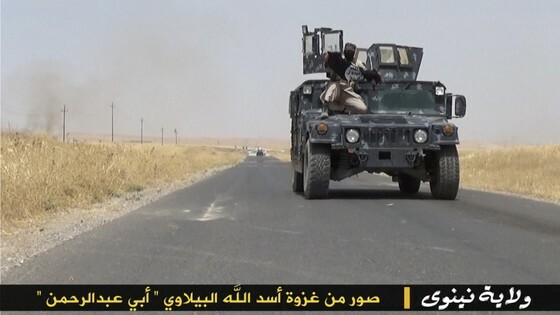 Why ISIS (and different kind of terrorists, revolutionary armies, freedom fighters etc.) do this? The executions and such are filmed for several reasons. Sometimes it’s proof needed for the person or people involved to be paid. Compare it to a signed bill of lading that a package has been delivered. 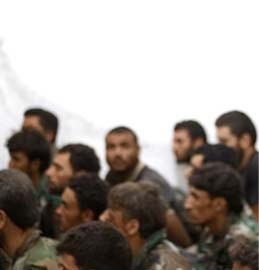 They’re also filmed for propaganda purposes to show how powerful the group in question is, so it draws new recruits into a ‘successful’ army, or scares them into joining should they end up in a ditch. Also, kind of a bottom line deal in the Arab terror world, the average Arab doesn’t believe something happened unless they see it. They take pictures like a news story. The reason why they film these executions is to terrify their opponents in what they will do if they don’t repent or leave the Iraqi army. In fact these videos have worked, because if you look at the Iraqi Army. 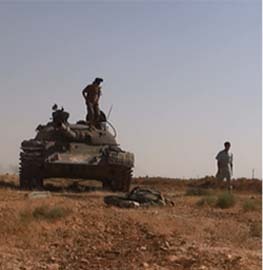 They instantly fled, with many leaving their uniforms behind and dressing up as civilians. I suspect many left not just only because of lack of weapons or training, but also many probably saw these ISIS killing videos and thought it’s not worth dying when the local Sunni population dislike them. To Arek, How many stories have you read or seen in the media about people in the countries of these atrocities being outraged? 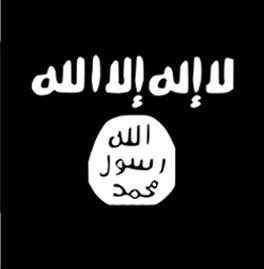 See any al qaeda flags burning? 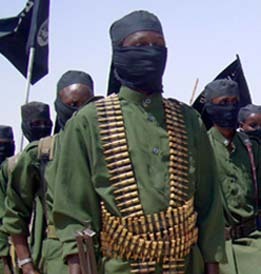 Any crowds chanting death to al qaeda? Or death to isis? But, let the U.S. military accidentally kill someone and you hear about and see it everywhere! I’ve read, heard and seen lots of stories about the fear that these accidental killings may cause people to turn against the U.S. military. But, I don’t ever remember reading, hearing or seeing a story about the fear that the terrorists’ murders might cause people to turn against them. And these murders occur everyday! Everyday! Lots of opportunity for journalists to write the story. But, no. So, this tells me that people native to these countries where terrorists operate are not outraged. Nor do they condemn these heinous actions. With all the years now that these horrific incidents have been occurring, and appear to be increasing, perhaps, what I’ve been led to deduce through media coverage, is true. Do you remember the majority of the people who freaked out (=and many still today) after 9/11? This MO works on most; not on those–the few–who run to where the bullets are flying. Another reason for committing such “atrocities” is provoke the other side (Shia’s) into a retaliation by killing Sunni’s. This will further polarise the 2 groups and quickly lead to the country being split into 3 (Sunni, Shia, Kurd). Seriously, I am not trying to insult anyone.. just the facts. Applying European/American modern morality to Arabs is just wrong thinking. Saddam Husein did not stay in power for 30 years by complying with the Geneva Convention. Arabs understood Saddam’s methods, it’s the Arab way, they don’t on the other hand understand the West’s ways, moralities, liberties, democratic process, rule of law, etc. The Arabs wan 15th century Sharia Law not western ideals; I don’t understand what people don’t understand about this fact. Not preaching, just stating what should be obvious to everyone by now and YET….I am obviously not correct in that last statement. Everyone is the West just keeps on saying …oh they are just like us and all they need is love and democracy… and our money to help them. ajajaja. My home country the USA is so incredibly stupid these days… the USA is guaranteed to fall even further than it already has .. very sad. Race to the bottom, that is where this is going.